Goseong, South Korea, Shut down the illegal dog meat farms, slaughterhouses and markets. Home / Blog / Goseong, South Korea, Shut down the illegal dog meat farms, slaughterhouses and markets. 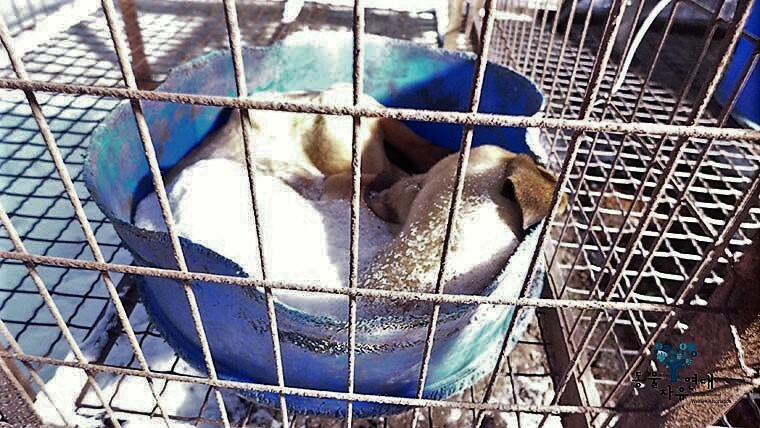 In Goseong, there are countless dog farms, slaughterhouses, markets and restaurants where the dogs, who are tortured their entire lives, end up being slaughtered in the most inhumane ways, such as by electrocution, hanging or beating; and then thrown into boiling water – sometimes while they are still alive. In many places, dogs are being killed in full view of other terrified, caged dogs; and this takes place in broad daylight. In addition, many abandoned and stolen former pets end up in this industry, and are subjected to the same cruelty. A Search Engine reveals the sickening scale of Goseong’s dog meat demand. The searches resulted in: 46 Health Food Shops; and 23 dog meat restaurants in and around Goseong. Even if half of these ‘Health’ Food Shops and restaurants serve dog and cat ‘ingredients’ in one form or another, just imagine how many dog/cat slaughterhouses must be present in and around Goseong in order to supply all of these outlets. Please sign petition, call, write and email the Goseong Mayor and the County Council TODAY! Email addresses for the Goseong County Council members are not available online on their homepage. Please send postal letters. Subject: Goseong, South Korea, Shut down the illegal dog meat farms, slaughterhouses and markets. 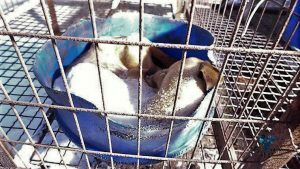 Petition: Goseong, South Korea, Shut down the illegal dog meat farms, slaughterhouses and markets. Please please Stopp the horobile for Animals, that’s all ja bot Human, that’s make my Sick, that’s heartbreaking so HOROBILE THE HORROR FOR ALL ANIMALS.. Please help and Ending.. The world is watching your sickening dog and cat meat trade , the cruelty you inflict on these creatures is beyond revolting . Free the dogs. Thay are not food!!!!! Please stop this cruel, inhumane treatment of these animals. They are sentinent beings not food. The cruelty that you inflict on these animals is beyond discusting! You will NEVER be taken seriously as a modern industrialized city as long as you participate in cruel old fashioned customs. Your country will never have the respect you want as long as barbaric practices like this continue. Most modern cities in the world look down on eating dogs and cats. Dogs have over and over been shown to have high intellect, rescuing and protecting owners, serving in the military and with police. How can you feel it’s ok to use sentient creatures like this for food? Please stop this disgusting practice NOW.